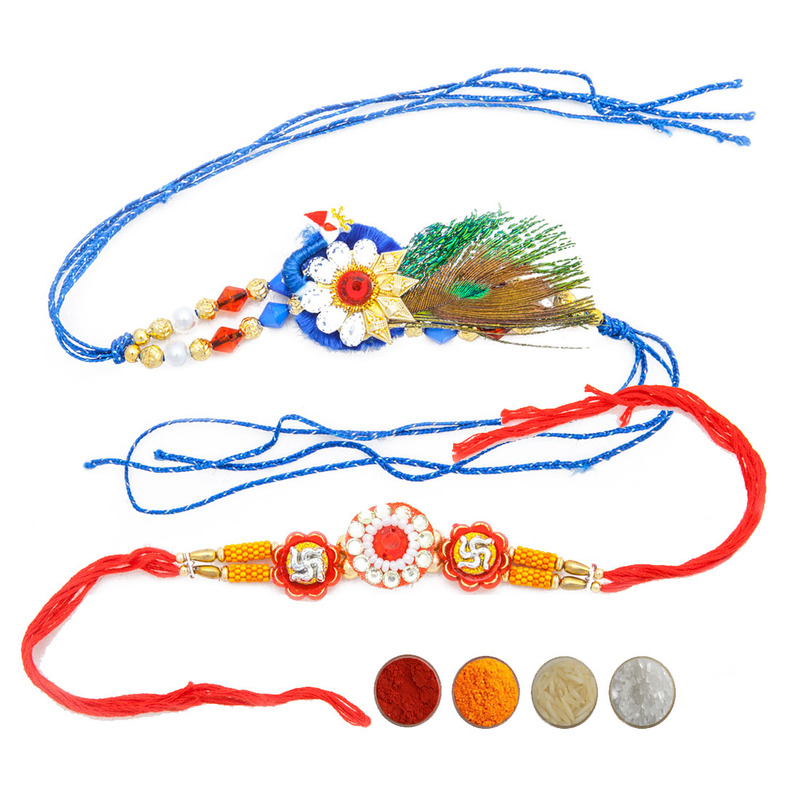 This is a set of 4 skillfully crafted fascinating rakhis in four different designs and motifs. 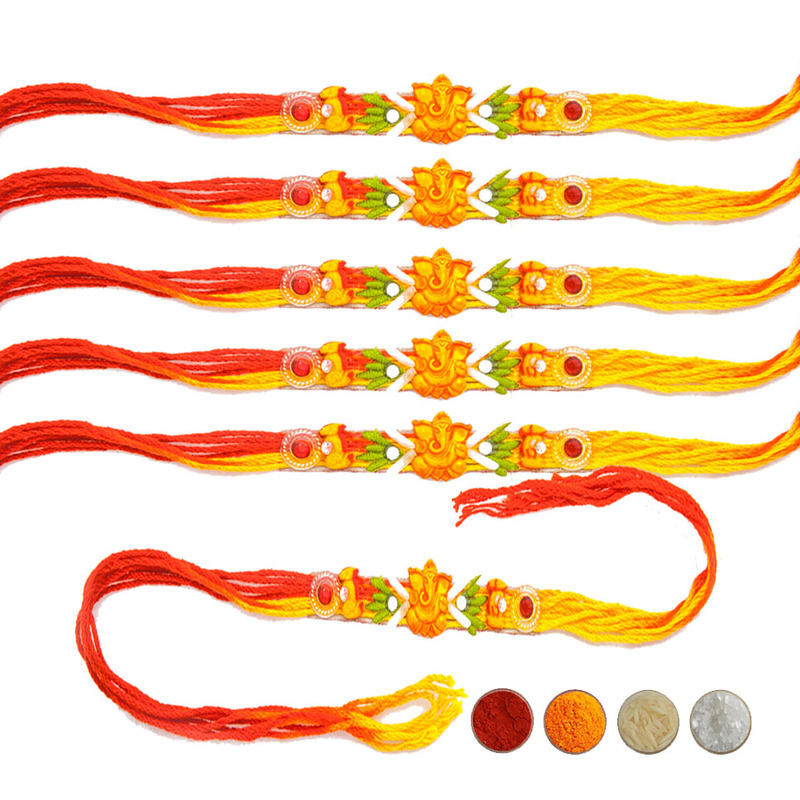 Built in auspicious red mauli look thread the first rakhi is decked with golden & sandy color beads and small sparkling american diamonds or white stones. 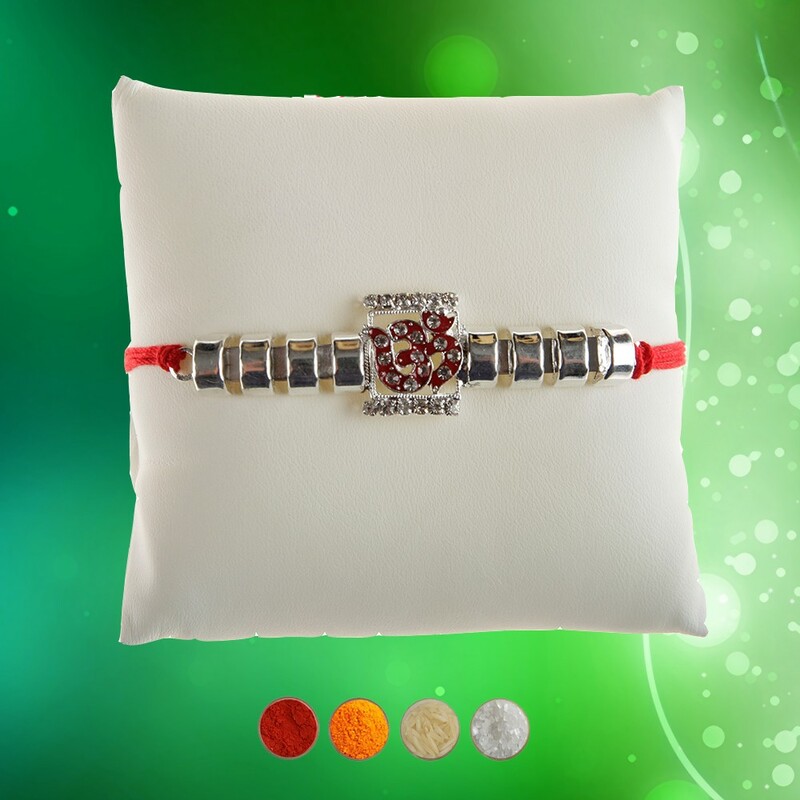 The second rakhi has red silken thread and designed with silver and diamond aura sparkling stones in floral motif. The third rakhi has yellow Resham Dhaga which is artfully crafted with sparkling pearls and golden & red beads with exquisite work. The fourth rakhi has traditional mauli look Resham Dhaga dori with a small figure of Lord Ganesha and leaf design in the center. 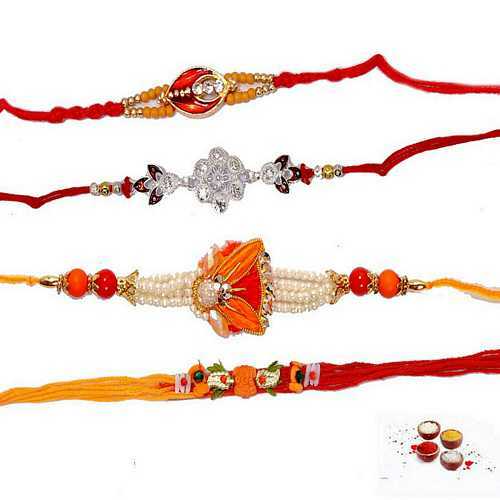 The set is truly a fascinating combination for traditional, beaded, jeweled, stylish and designer rakhis. The set is sure to be loved by your brothers. 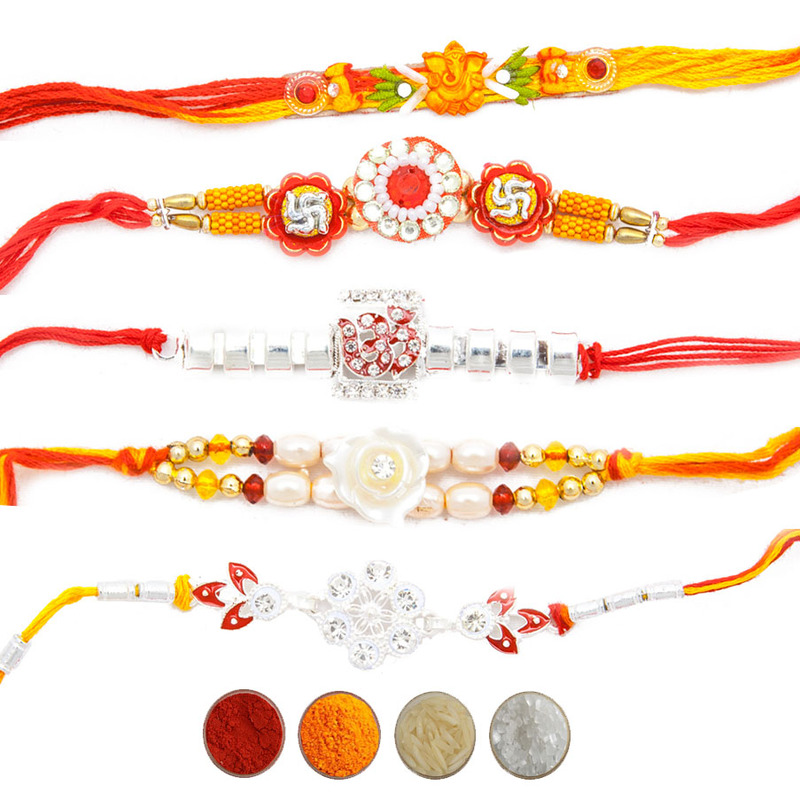 Send these fascinating rakhis to your brother with your love and rakhi wishes to build the strong sibling bond of love, care and protection. 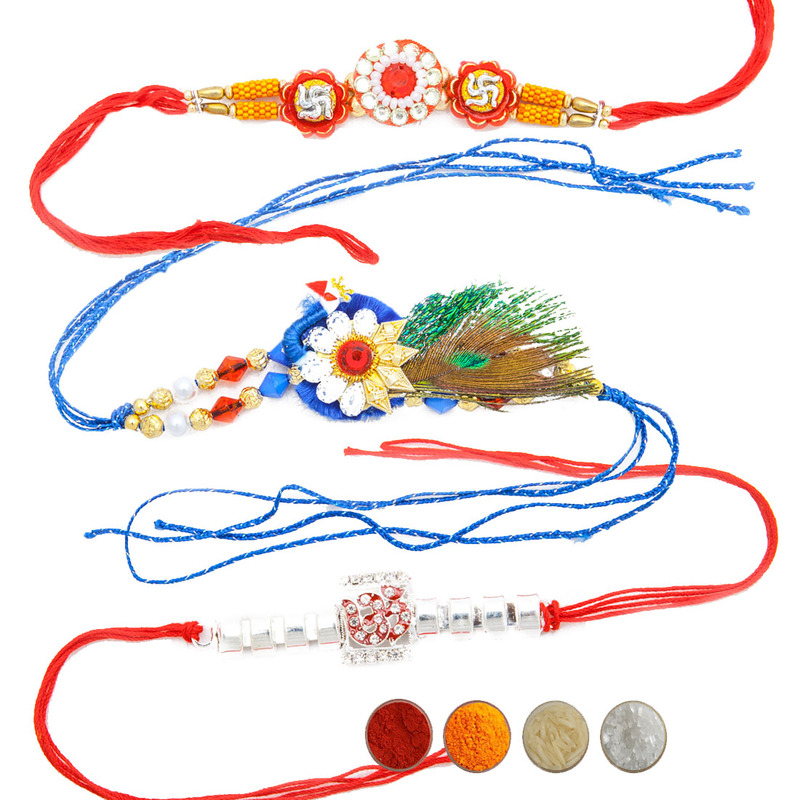 We are offering these fascinating rakhis with complimentary Roli, Chawal, Chandan and Mishri.